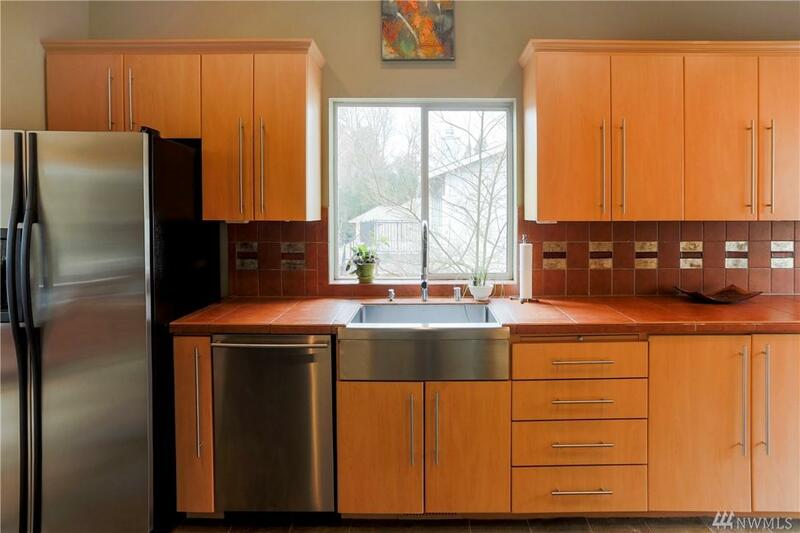 13735 Corliss Ave N, Seattle, WA 98133 (#1423076) :: Priority One Realty Inc.
$40k price drop! Lovely home in peaceful setting. Vaulted ceilings, w/ stainless appliances, new GE range, Bosch d/w, tile counters/backsplash, slate floors & custom cabinets. Fireplace in living rm, bath w/ skylight, tile floor, tub surround & vanity. 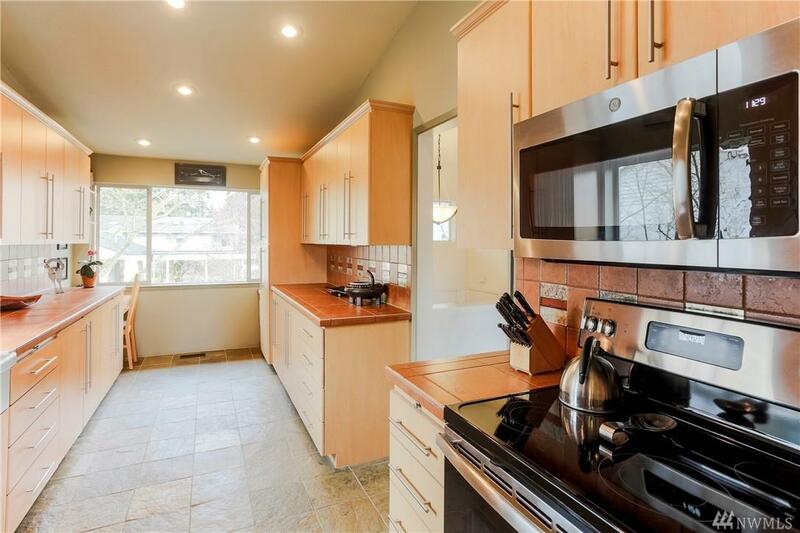 3 brs, 2 baths up, includes master suite. 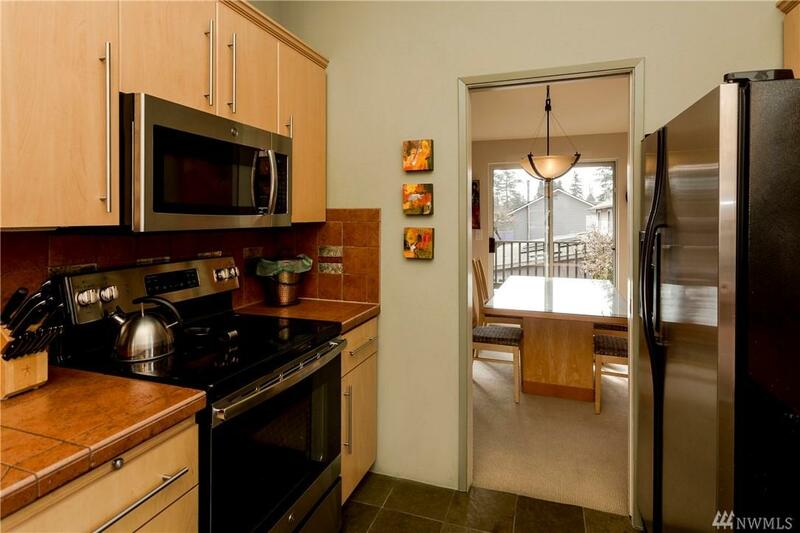 Lower lvl set up for M-I-L, w/ family rm, 4th br, 3/4 ba, fridge & micro. Large 2 car garage. Wonderful yard w/mature landscaping. 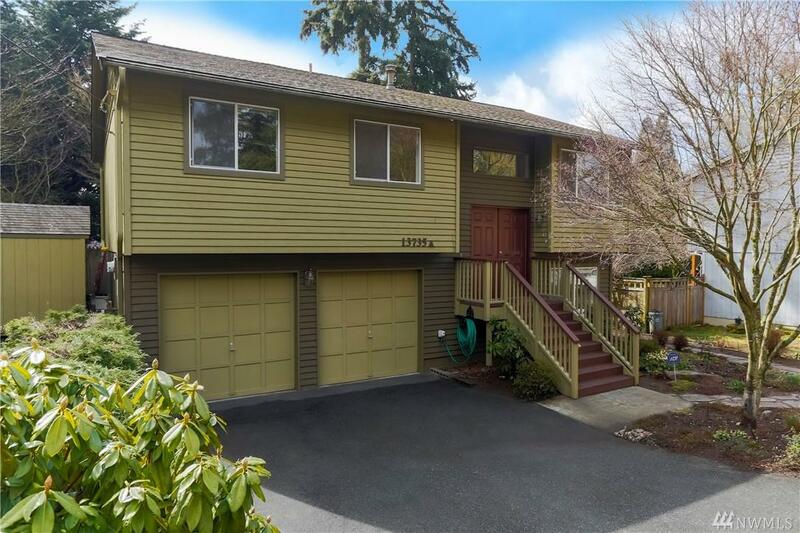 2 blocks to Lakeside School and short walk to future light rail station!